InFocus's IN3108 is a 3500-lumen, 7-pound WXGA DLP projector that doesn't have a lot of surprises. It is a good, solid, dependable projector that creates a balanced image. The extra features are a little on the sparse side, and some traditional favorites are missing - like wired networking and mouse control for the attached computer. However, it also picks up some new features, like an HDMI port for video and a DisplayLink connection for easy, quick startups. For the educator who cares about image quality above all else, the IN3108 is a solid performer. High lumen output. We measured a real-world maximum lumen output of 2600 lumens on our test unit. Though this fell short of its 3500 lumen spec, 2600 lumens is enough light to power up to a 100" diagonal screen with a significant amount of ambient light. This is especially helpful when your students are taking notes and you don't necessarily want to dim the lights in the room. Low lamp mode drops lumen output by 16% in all modes, so running the projector in eco-mode for the extra lamp life does not require much of a sacrifice. Of course, 2600 lumens may be too much light in some circumstances. 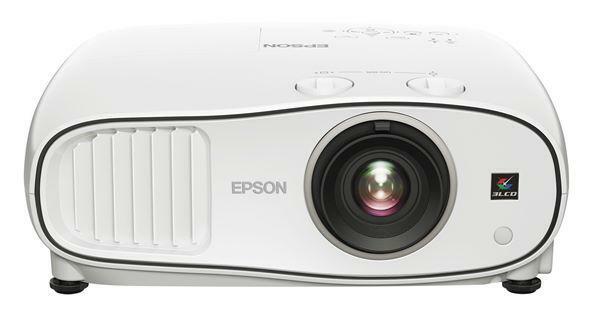 In these cases, you'll want to adjust the projector's White Peaking, which is a function of the onboard BrilliantColor system. Changing this setting drastically reduces lumen output, and also results in a more balanced image. With BrilliantColor set to 50%, light output dropped from 2600 to 1490 lumens; when turned completely off it plummeted to 775 lumens. If you have a smaller screen or better light control, these settings will be useful. WXGA Resolution. WXGA resolution is unmatched for its combination of low cost and high versatility. The IN3108 can natively display standard computer resolutions of 1024x768 XGA, 1280x768 and 1280x800 WXGA, as well as 1280x720 high definition video. This allows for great versatility and minimizes the need for image compression. Keystone. While it is best to keep a projector perfectly level, sometimes that's just not possible. In these cases, keystone correction is of paramount importance. The IN3108 has some of the cleanest keystone correction we've seen on a classroom projector. Small text maintains integrity and legibility. With photographs it is sometimes hard to tell that keystone has been applied. If you are using the projector on a rolling cart, the excellent keystone correction can be a great benefit. DisplayLink. DisplayLink is a technology that allows someone with a Windows PC to use a USB connection for video. So far, the technology is limited to use on Windows computers, due to required software which has not been ported to Mac OS X or Linux operating systems. On Windows, though, you plug a USB cable into your PC, plug the other end into your projector, and the software will take care of the rest. No video or audio cables are required. This is especially useful on a rolling cart, where a teacher might want to use his or her own laptop or classroom computer with as little fuss as possible. Monitor Passthrough. The IN3108 also has a VGA monitor passthrough, so users without a laptop (or without a desktop containing a second video card) will still be able to see an image on their monitors while using the projector. A special note, though, is that monitor passthrough is unnecessary when using DisplayLink - it will automatically display on both monitors. Dual 3W speakers. The IN3108's onboard sound is very good, with 3.0W stereo speakers. This is one of the first classroom projectors we've looked at with stereo speakers onboard, and they do make a difference. The speakers are less tinny than some of the other sound systems we've tested, but are still capable of good volume that can be heard clear across the classroom. Still, it lacks the bass response typical of installation speakers, and should not be considered a substitute for an installed speaker system. Security. The IN3108 has the ubiquitous Kensington lock point as well as a PIN system. Once enabled, it requires that a password be input before the projector will display an image. There is no recovery system, so guard your password well - if you lose it, you'll need to call InFocus customer service to reset the projector.